Thanks to the likes of Jacques Cousteau and our own Sir David Attenborough, for the uninitiated, talk of scuba diving may conjure up pictures of kaleidoscope coloured reefs, the inimitable ‘Finding Nemo’ clownfish and a plethora of sharks and weird and wonderful fish. 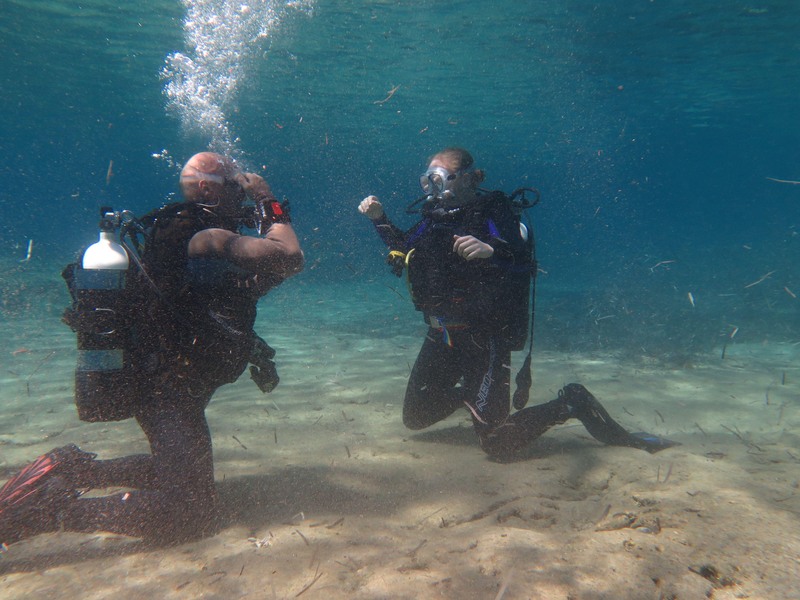 However, reality and fantasy are rarely synchronised as the members of Exercise Neptune Serpent found out recently during an overseas diving expedition to Cyprus. 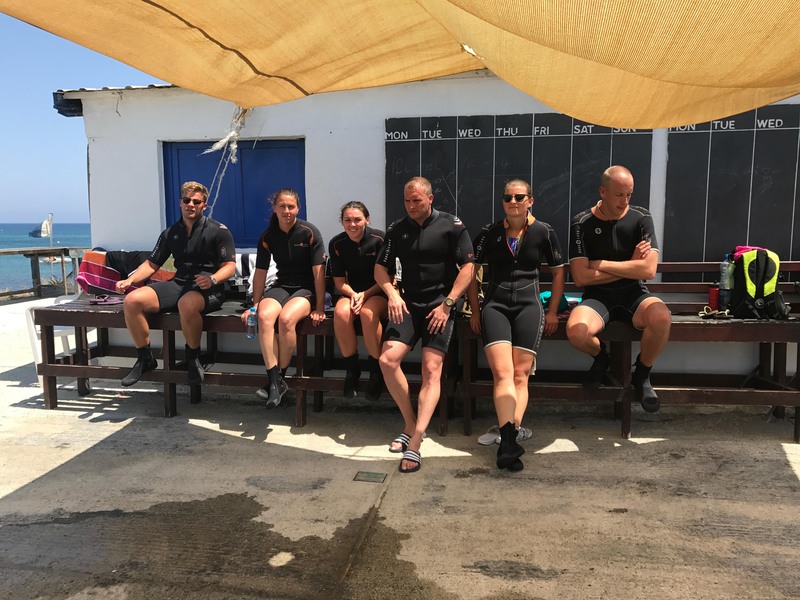 Originally destined for the Ascension Island in the South Atlantic, the exercise, comprising 12 Officers and soldiers of 2nd Medical Brigade, was switched to the island of Cyprus following problems with the transport links to Ascension Island. 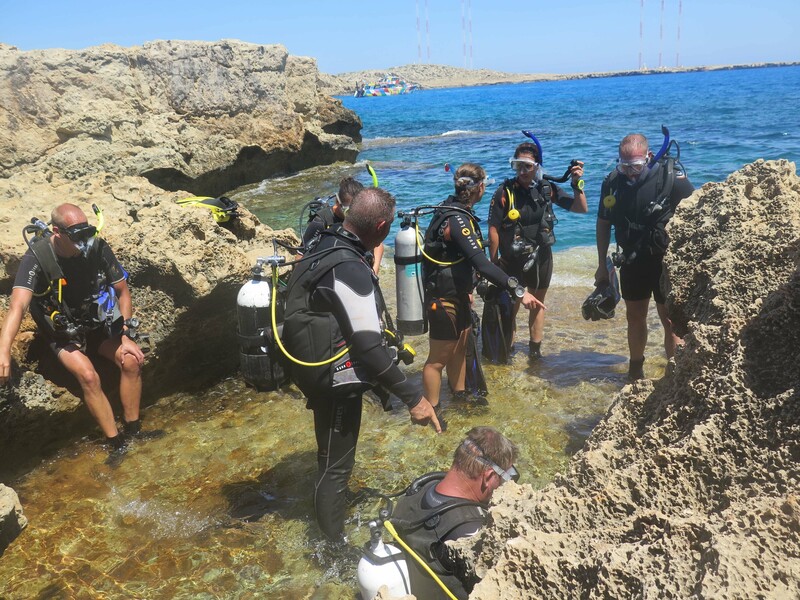 If the old adage that “every black cloud has a silver lining” is to be believed, then the silver lining in this case meant that the exercise could take novice divers along as part of the group. 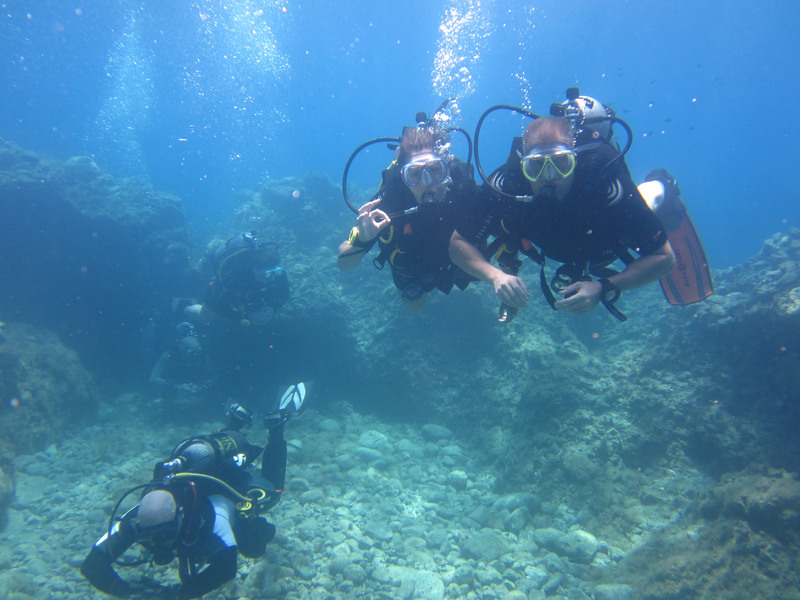 The waters in and around Ascension Island can be challenging, far too challenging to subject unqualified divers to and it was largely held that the Mediterranean waters off the island of Cyprus would be a far better training ground into which to introduce the novices to the pursuit of scuba diving; this meant amending the expeditions original aim of conducting progressive diver training to include the introduction of novices to the activity. Flying into RAF Akrotiri at the beginning of July the first thing that hit the group members was the searing heat. Arriving late in the afternoon the heat was unbearable, almost 40 degrees and feeling a lot hotter because of the humidity. Any hopes of the heat dissipating in the air-conditioned accommodation at Episkopi were soon dashed when the doors of the transit block rooms were opened to reveal nothing more than a ceiling fan which, over the coming days, was only to add to the discomfort caused by the heat. 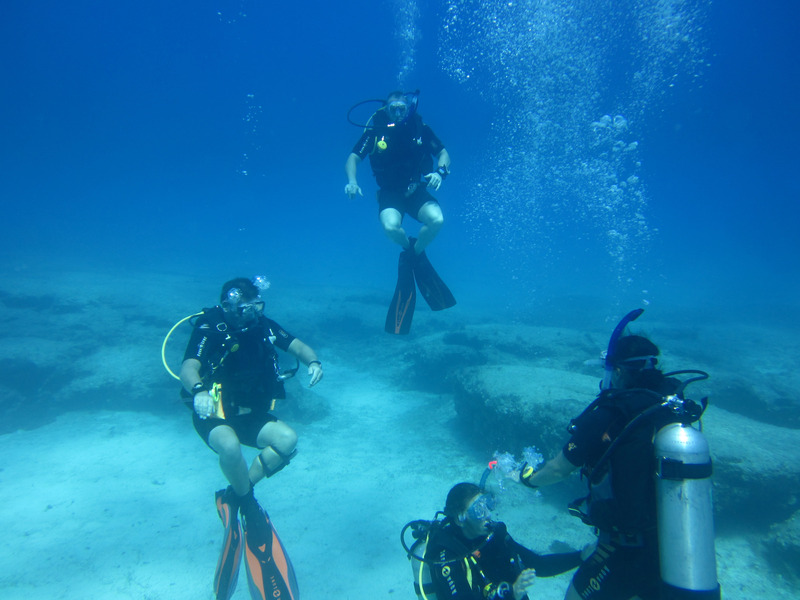 For the training phase, the exercise comprised two distinct groups, the novices, five in total, were taken under the wing of Kembali divers, a Military Approved Centre or MAC, where they would undergo open water diver training whilst the remainder, all qualified divers, carried out progression training under the direction of the Expedition Sub Aqua Diving Supervisors or ESADS, the ultimate aim being that the two groups would dive together during the second week, provided that all the novices were to pass their course. 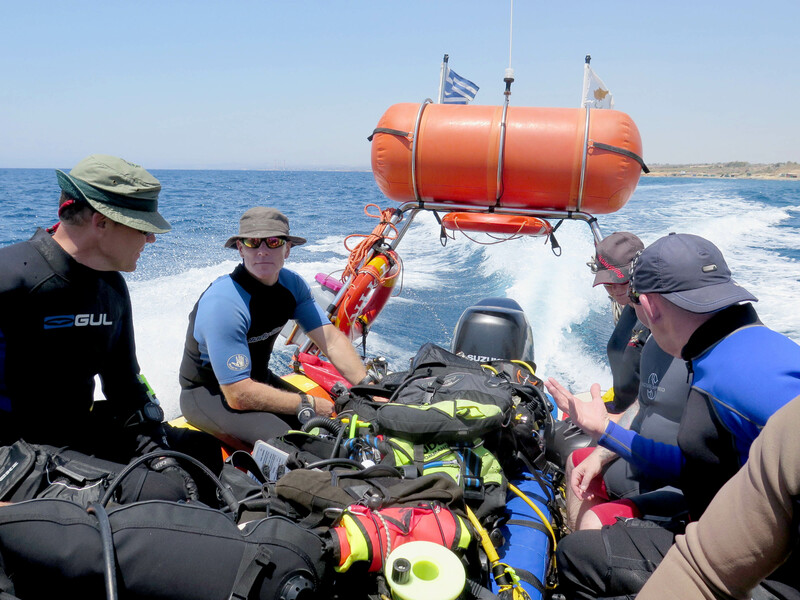 The first day of the exercise saw both groups travel back to Akrotiri where the MAC is situated. 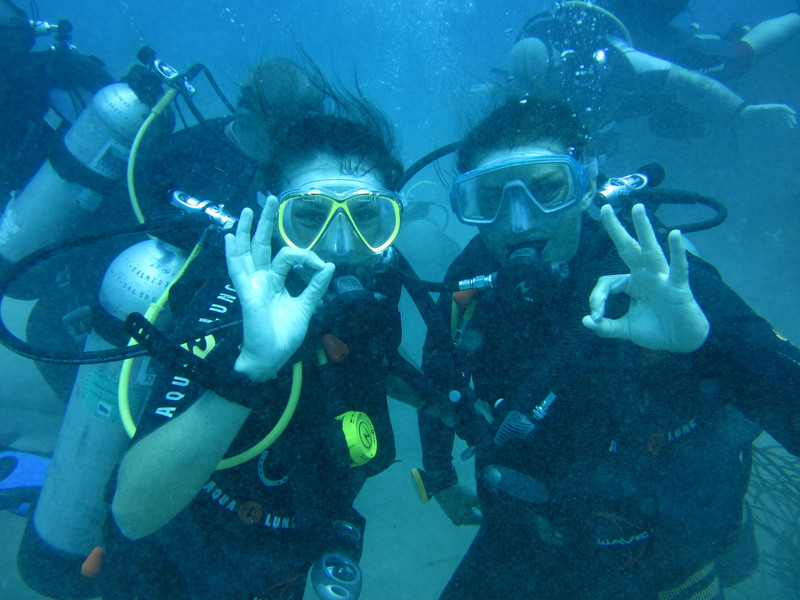 For the novices, their foray into the underwater world was to begin, not in the majestic world of Cousteau and Attenborough but in the dingy, hot classroom of the MAC where they were subjected to classroom lessons and lectures on physiology and the world of diving; hardly what they were expecting but a crucial part of their introduction, arguably the most crucial. 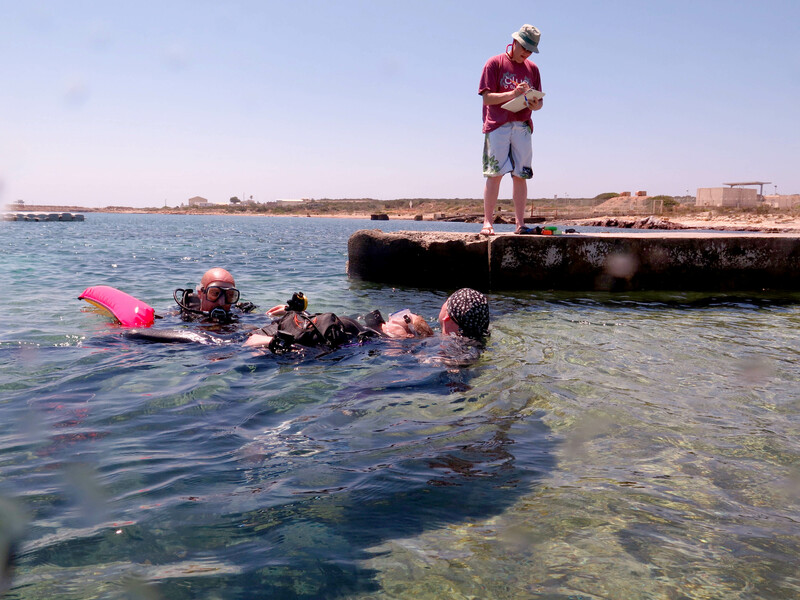 For the qualified divers, the first day was to comprise of more hands-on training as they set about practical rescue scenarios, recovering divers from any number of orchestrated situations to test their reactions and knowledge of the environment they were to be operating in, ensuring that they had the skills to take the correct action when and if they were to be put to the test. Dinner that evening was a somewhat hushed event and taken in the pool bar at Episkopi as the late finish at the MAC meant the dining room was closed by the time the group returned. Talk was not of the kaleidoscopic colours they anticipated, more the recounting of hot stuffy classrooms and the dread of more of the same environment, back in their accommodation, where the heat meant that even undressed was over dressed for bed. 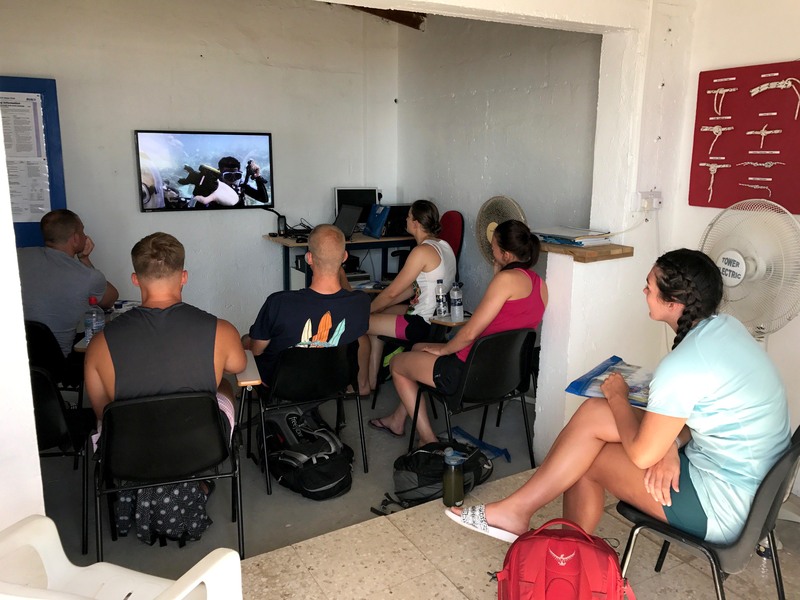 The students soon got into the water and were alternating between classroom, boats and jetties as they traveled around the island undertaking their confined water training, putting into practice what they had only been exposed to on DVD and videos and in doing so, growing in confidence, well, largely. 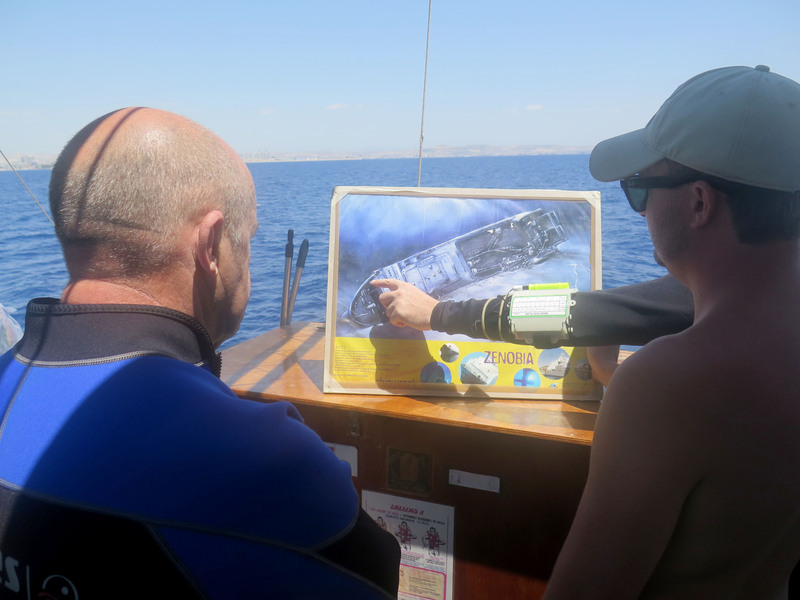 For Pte Romany Sturdy, the first day in the open water environment had almost been her last. Unbeknownst to anyone else on the exercise, Romany had suffered a near drowning accident as a young child (3) and while carrying out the mask clearing drill, where the diver has to remove and replace their mask, Romany suffered panic attacks, reliving her childhood experience and was unable to complete the task. However, Romany wasn’t the first student that chief instructor Chris Sergeant had dealt with and with his encouragement and Romany’s gutsy attitude, she eventually mastered the skill and in doing so, banished childhood fears she had had since the accident. 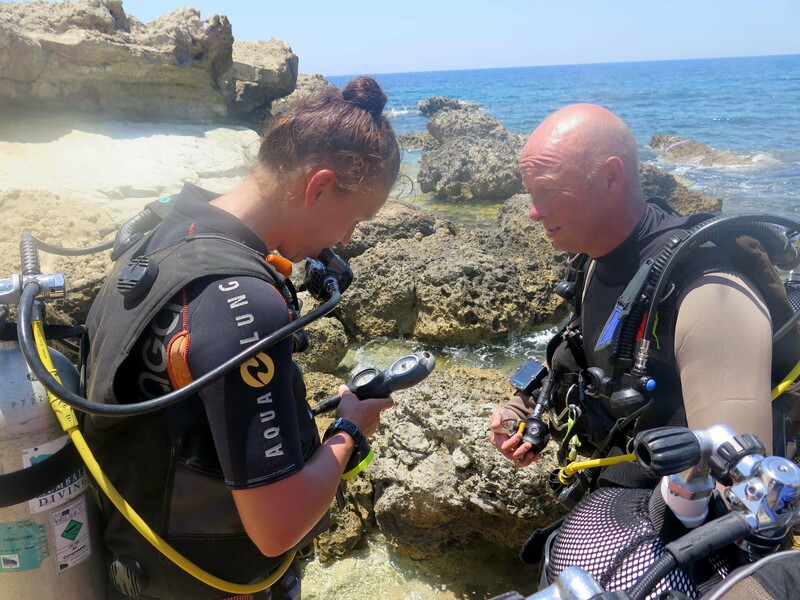 Adventurous Training isn’t all about the activity being undertaken, it is a proven fantastic retention incentive and, in the absence of Operations it is one of the ways in which the military can assess the personal qualities of service personnel. By taking them outside of their comfort zone and exposing them to an element of controlled risk, characteristics such as teamwork, resilience, leadership and courage, to name but a few, are put to the test; Pte Sturdy had certainly had her courage and resilience tested and had passed with flying colours. 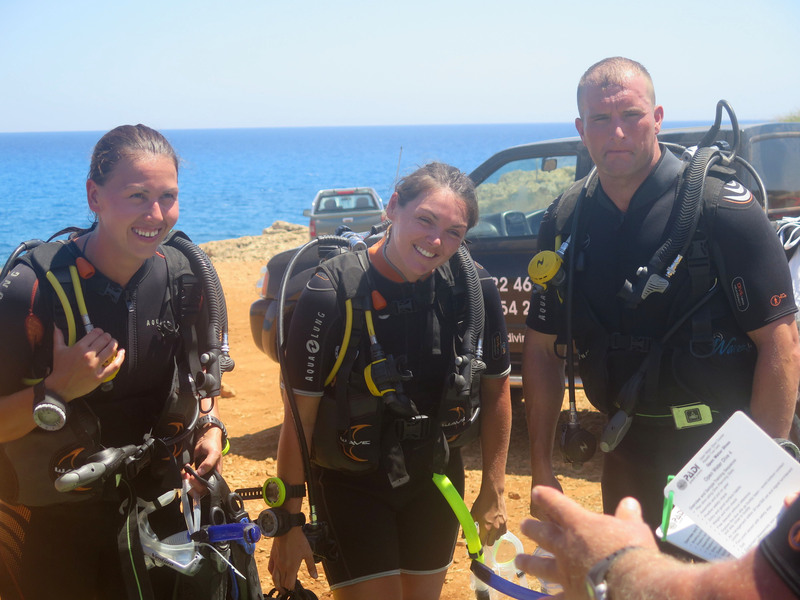 In fact, all the students passed with flying colours and, at the end of the expedition, all five of them were welcomed to the world of sub aqua diving; perhaps not as colourful as that portrayed by Messrs Cousteau and Attenborough but on the wreck of the Zenobia, a world-renowned dive site out of the bay of Larnaca. Clearly the expedition had achieved its aim, at least for Romany. 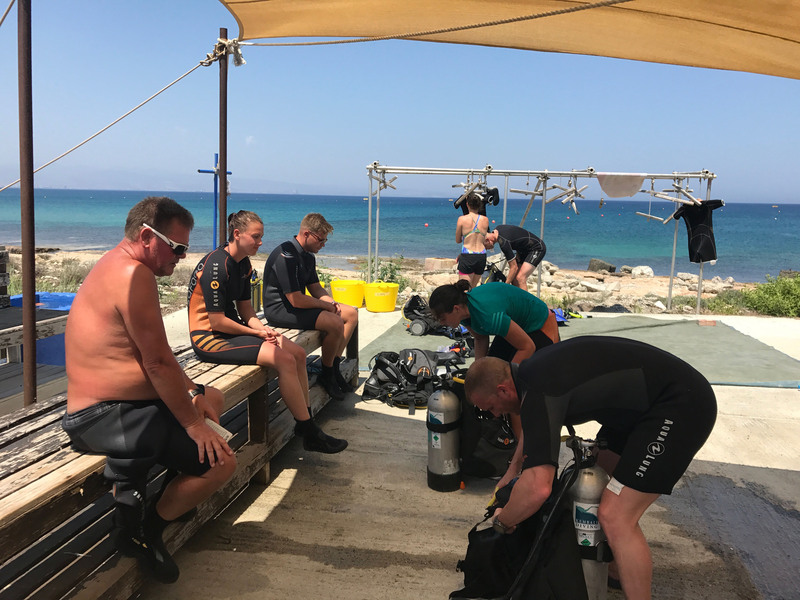 I sincerely hope that Romany continues to dive, that they all do and, if they do, it will be reassuring to for them to know that there are fantastic organisations like the Ulysses Trust around who are there to support them and who are thanked by each and every one of the expedition participants of Exercise Neptune Serpent 17, thank you.